How Many Hours Do You Play Sonic Games On Wii? How many hours do you play Sonic games on average? Seven hours to finish it then move onto something else? Maybe 40 hours if you want to get all the best ranks and unlock all the content or maybe even longer? Kotaku have been busy pouring over data released on the Wii’s ‘Nintendo Channel’ and have pulled out the average play time for every Sonic game released for the console sampled from roughly 2.4 million Wii users. If you’d like some information on the maths and how this has been calculated Kotaku have written out a handy guide. 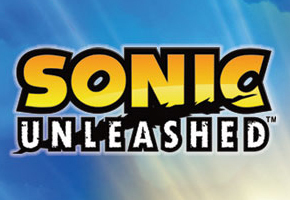 Unleashed having the most playtime makes sense as it’s arguably the biggest game released for the Wii but Secret Rings in last place is somewhat of a surprise considering the length it stayed in the charts and its popularity at launch. Sega published Wii game Samba De Amigo makes a list of Wii Music Games at last place with a measly 4 hours 2 mins. Obviously people were drawn in by the fantastic concept of a Monkey with maracas but were put off by the reportedly horrible control scheme at harder difficulties. Conversely the most played Wii game is Super Smash Bros Brawl which coincidently features Sonic.